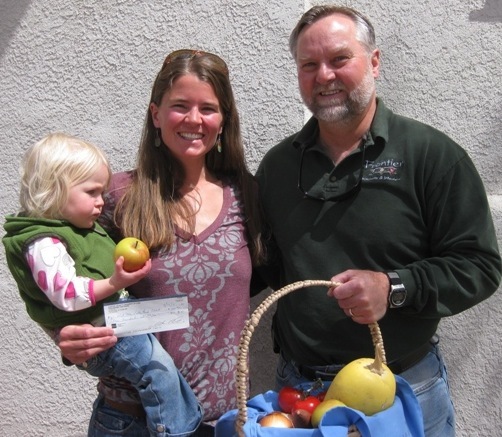 A huge thanks to one of our sponsors, Preferred Partners, for their generous support of our 2011 Westcliffe Farmers Market. The donation will be used to cover insurance for this summer’s markets. Pictured here (left to right) are Lucy and Buffy Lenth of the WFM and Grant Lewinsky of Preferred Partners. Next Article Put your money where your heart is!